Days dedicated to family have a certain resonance after tragedy strikes. Like other holidays, Family Day can highlight the empty seat at the table, and the stark contrast between today and yesterdays. Threads of Life was formed to fill the void in support available to families after a workplace tragedy. Without a place to turn, families were isolated and struggling to navigate the legal and compensation systems while in deep grief. 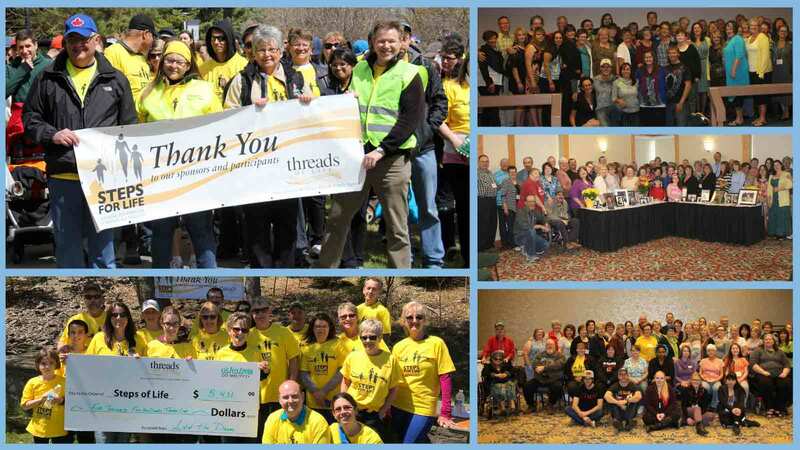 As the group grew, Threads of Life established a voice for families who are living through the aftermath of a workplace tragedy, and an extended family of support with others who understand the unique challenges and heartbreaks experienced when a worker goes to work and comes home a different person, or not at all. Families who’ve experienced the kind of heartbreak Threads of Life’s families have endured know better than most the importance of spending quality time with our family. Future days are not promised and everything can change in an instant. With more than 2,800 family members currently accessing support services from Threads of Life, we also know that many, many more have experienced a workplace tragedy in recent years. Roughly 1,000 workers die from workplace injuries and illnesses every year in Canada, and the outward ripple effect of families, close friends, and coworkers affected is multiplied several times more. As much as our network has grown, and as much as families are finding out about us much earlier in their journey, we still have miles to go to ensure every family who may need our support know that Threads of Life exists. Which is where we ask for your help this Family Day. Can you take an action to help us reach more families? Would you share this post with your family and friends? Post it to Facebook, share it with other grievers, or send the link to a colleague you know cares deeply about preventing workplace injuries and illnesses. Help families who’ve experienced a workplace tragedy find a network of support in the greater family of Threads of Life by letting our families know you’re thinking of them this Family Day. Help us spread the word.